Periodically, we make a small loan to a business on Kiva.org to fulfill a pledge of social responsibility we initiated when Eco Child’s Play began over a year ago. If you are not familiar with Kiva, this organization helps you empower an entrepreneur in a third world country by lending small amounts of money (as low as $25) to a specific entrepreneur, helping end global poverty one person at a time. Once you make a loan, you will receive email updates about the businesses you are supporting. A typical loan lasts 6-12 months. Inspired by Beth’s post “Getting Less to Give More: The New Birthday Party“, I decided to let my six-year-old daughter pick out our Kiva loan recipient. 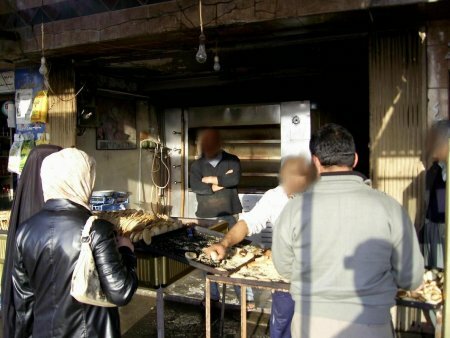 She picked out a baker in Kirkuk, Iraq, whose identity is protected. The entrepreneur is 34 years old. He has 3 children studying in school. His mother and brother are living with him. His brother is studying in university. He has a small bakery shop. He applied to borrow $1200 to purchase a new bakery machine and expand his business. He wants to renovate the shop by painting it and do some advertising. He wants to increase his income and develop his business and help his brother in building his future. Disclaimer: This entrepreneur is from a volatile region where the security situation remains unsettled. Lenders to this business should be aware that this loan may represent a higher risk and accept this additional risk in making their loan. Posts on our other Kiva loans can be viewed here. What a great way to introduce kids to social responsibility. I make some Kiva loans myself and it is very rewarding seeing these small businesses grow and prosper (many of which are owned by women that cannot get loans in their own countries).